This Demonstration shows a universal cellular automaton emulating the elementary cellular automata. 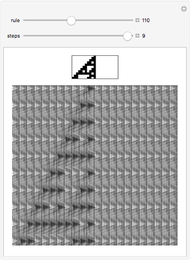 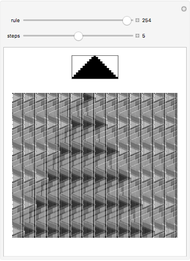 To see the rules for a universal cellular automaton, go to Stephen Wolfram's A New Kind of Science, page 648, A Universal Cellular Automaton (NKS|Online). 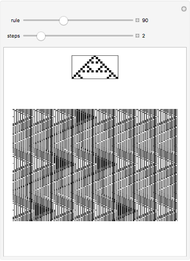 Abigail Nussey "Emulation of Elementary Cellular Automata by a Universal Cellular Automaton"